One of our loyal clients, Irene, had been having an issue with her garage door opener. For more than a month, she was unable to open her garage door with her remote when she came home. Being that it’s winter, leaving her car in the driveway wasn’t pleasant, in order to come through the front door. The mornings are especially rough! We wish she would have called us sooner, since we were able to get everything fixed in no time. Initially, we had some trouble figuring out what was wrong. We first tried reprogramming her remotes and her inside keypad to see if that would solve it. It did work at first, but then we tried her remotes and her car’s home link system, and it stopped working. What a nightmare! We assumed there was some sort of device issue. Or perhaps there was something jamming or blocking the frequency of the garage door. Ultimately we decided to replace her existing wall console with a new LiftMaster 888LM MyQ wall console. This console is seriously the coolest! You can control the garage door features, which include locking, programming and settings, right from the console yourself. You can also extend the range of the remote controls with your “home link” system. 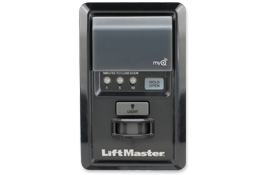 More Features of the LiftMaster 888LM MyQ model. Program remote controls yourself from the panel. Controls the doors and your garage door lights. Even set timers for your lights from the panel! 150 degree sensing angle and motion detection. Garage door lights will go on when movement is detected. You can set a timer to close your doors after a certain number of minutes for increased security! The lock function will disable your remote controls if you are away. This LiftMaster wall console is affordable, with top of the line features for functionality and security! 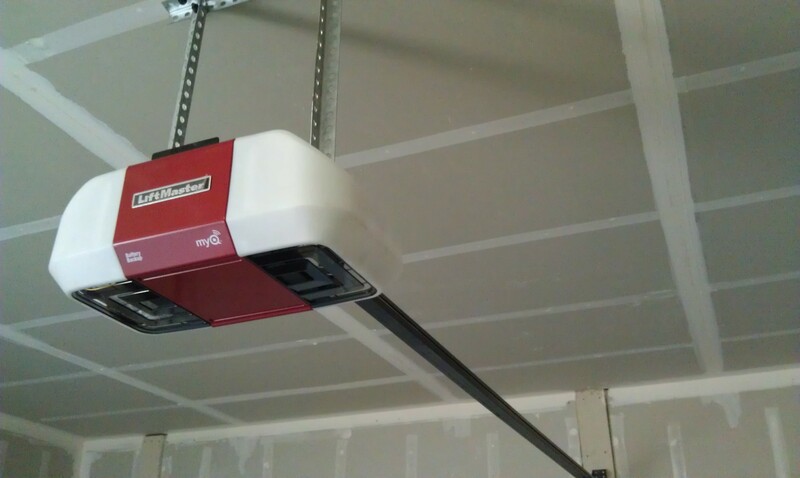 This entry was posted in Blog and tagged liftmaster 888lm myq, liftmaster opener installation, liftmaster wall console installation, opener installation. Bookmark the permalink.